"Different from the rest of K-pop" NYT Mag Praises IU's "Palette" as "Emotional Salve"
The New York Times magazine published on March 8 picked IU's 2017 hit single Palette as one of "25 Songs That Tell Us Where Music Is Going." The writer of the post, Lindsey Weber, introduced IU's Palette as a song that "offer[s] the...sort of emotional salve," which "allowed [the writer] to project [herself] inside her aspirations of maturity." 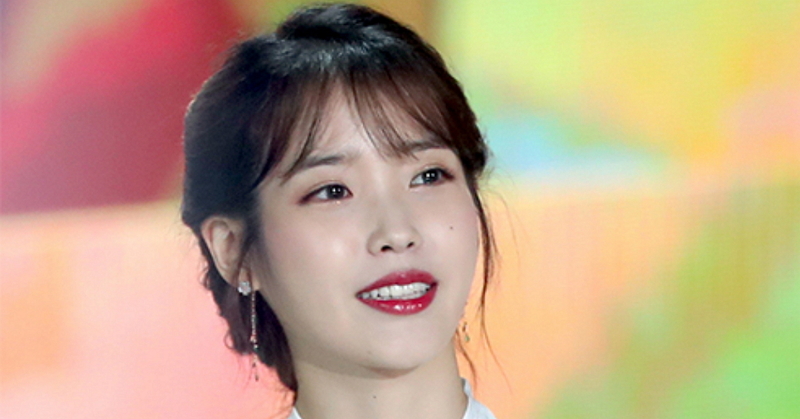 Weber complimented IU's ability as a rare K-pop singer-songwriter who can "slowly crack away at the genre's clichés," adding that her "proficiency of introspection is compelling." The writer also deemed the song as having been written in the artist's “Not a Girl, Not Yet a Woman” phase. She also put IU apart from the rest of K-pop. "The Korean pop music that most appealed to the West used to be sort of 'Gangnam Style,'" she said. While the writer claims she listens to a lot of K-pop, she says that "all the songs seem as if they’re written by 17-year-olds who love good jams and bad lyrics," which "can feel so superficial." IU's Palette is 9th on the list of 25 songs selected by journalists, writers, movie directors, and columnists. Big name artists including Katy Perry, Bruno Mars, and Taylor Swift dominated the list, with IU being the only Asian.